Abram Goertzen (Abe) Loewen was born at Neuanlage, near Hague, and passed away on July 30, 2017, in Saskatoon at age of 94. His parents were Abraham J. and Helena (Goertzen) Loewen. His mother passed away in 1925, and in 1927 the family moved to Hochfeld with his stepmother, Maria Epp. Abe attended Heidelberg and Passchendale schools. In 1948, Abe married Sarah Siemens. In 1949, he was baptized by Rev. John Rempel and joined the Hochfeld Church. Abe Loewen returned with Sarah to Burns Lake, B.C. and worked in a lumber camp prior to owning and operating a lumbering business. 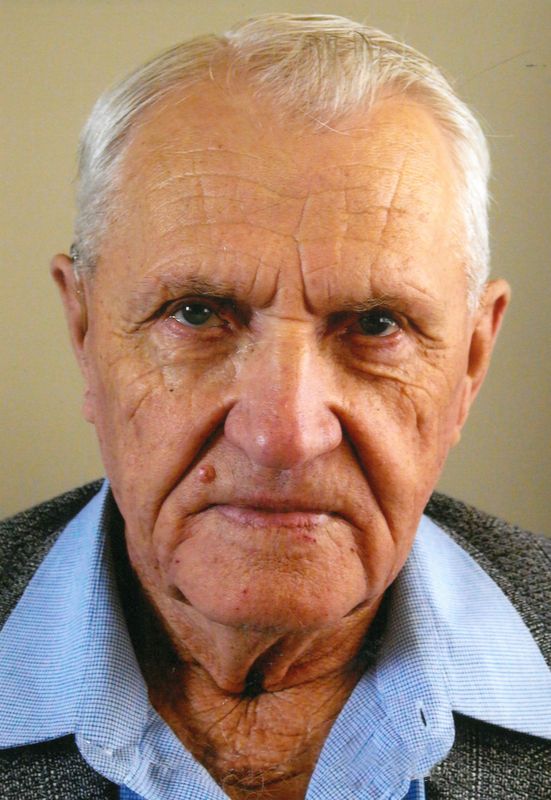 In 1953, he returned to Saskatchewan, where the family farmed for 35 years. Abe and Sarah retired to Hague and then to Bethany Manor in Saskatoon. Surviving family are his wife, Sarah and children, Linda Green (Bob), Carrol Loewen (Paul), Frances Johnson (Marvin), Velma Loewen, Kathy Heinbigner (Glenn), Abram Loewen, Janet Loewen Ens (Waldy). Also left to cherish special memories are 17 grandchildren and 22 great-grandchildren. Abe was predeceased by grandchildren, Blair and Velvet Green. The Funeral Service will be held on Thursday, August 3, 2017, at 1:00 P.M. at Bethany Manor Fellowship Centre, Saskatoon. The family requests a scent-free environment. This means no aftershave, deodorant, hairspray, perfume or lotion due to extreme allergies in the family. Interment will be held at Hague Cemetery. Our love and condolences to all of you at this time. May God be strength, hope and comfort for you. Good memories of the times we have shared together. Extending our sincere sympathy to the family at this time. You must all have many cherished, happy memories of Mr Loewen. He was truly a very fine man. We always enjoyed his humour and insight. Sincere condolences to the Loewen family on the loss of your husband and father. Thinking of you and praying that the Lord will provide comfort during this difficult time.